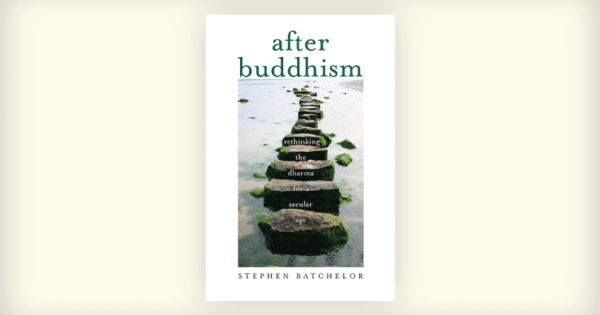 For over three decades, Stephen Batchelor has been the best-known exponent of an unapologetically modernist vision of buddhadharma. In such popular and controversial works as Alone with Others, Faith to Doubt, Buddhism Without Beliefs, and Confession of a Buddhist Atheist, he has promoted an approach to Buddhism that dispenses with metaphysics (including rebirth), miracles, or any hint of the transcendent. He regards the Buddha as an ordinary man who happened to teach an extraordinary way to overcome human problems, the dharma as a secular, pragmatic, and ethical basis for human flourishing here and now, and the sangha as a community of men and women, monastics and laypeople, who support each other’s efforts regardless of social or spiritual status. Batchelor’s views have resonated with many contemporary Buddhists who feel that his humanistic and pragmatic view of the Buddha and his dharma is precisely what’s needed in the current cultural and historical situation. Just as often, though, he has been criticized by traditionalists for blithely dismissing 2,500 years of thought, practice, and institutional life while remaining uncritical of the ideologies and institutions of modernity to which he would have Buddhism conform. My own chief objection to Batchelor’s previous work is that in his quest to justify his particular version of Buddhism, he has, with scant methodological self-awareness and insufficiently rigorous argument, cherry-picked Buddhist literature (especially the Pali canon) for evidence of his views. Unsurprisingly, he has discovered that what he thinks Buddhism ought to be in our era turns out to be what Buddhism was at the beginning, evidence to the contrary notwithstanding. 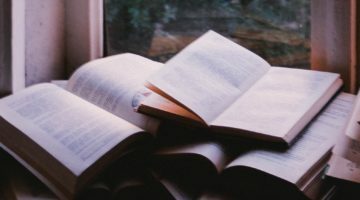 Batchelor’s conflation of ideological prescription and historical description—the ought and the is—has probably undermined his credibility with critically informed readers more than his radical prescription for contemporary Buddhism—with which, I suspect, many such readers might in various ways agree. I’m happy, then, to report that in his latest and most ambitious work, After Buddhism: Rethinking the Dharma for a Secular Age, Batchelor makes a sustained and serious attempt to argue for his vision of Buddhism, primarily through a theoretically self-conscious, historically informed, and linguistically nuanced analysis of the Pali canon and other early sources. The book is perhaps not quite the work of “systematic theology” Batchelor claims, but it is a careful, honest, and typically eloquent exposition of what he believes and why he believes it. The title After Buddhism needs parsing. By “Buddhism,” Batchelor means the religion—with its myths, doctrines, rituals, and institutions, its metaphysics and morals—that arose in the wake of Gotama Buddha’s passing, spread through much of Asia, and now has arrived in the West. Here, it stands in uneasy relation to a culture whose views and values—shaped by such ideologies as science and democracy—are not easily harmonized with any traditional religion, including Buddhism. Thus, if the dharma is to take root in the West, it must be synchronized with current notions of life, humanity, and the cosmos. Modern people, therefore, should be concerned not with preserving “Buddhism” but with creating the form dharma takes after Buddhism has been left behind. This dharma, however, is not created anew; rather, it is the recovery of the skeptical, pragmatic teaching of Gotama from beneath the layers of religion imposed upon it by his successors. Indeed, Batchelor pays more attention here to locating the historical Buddha and distilling his basic message than to analyzing contemporary culture, so the book might better be titled Before Buddhism. 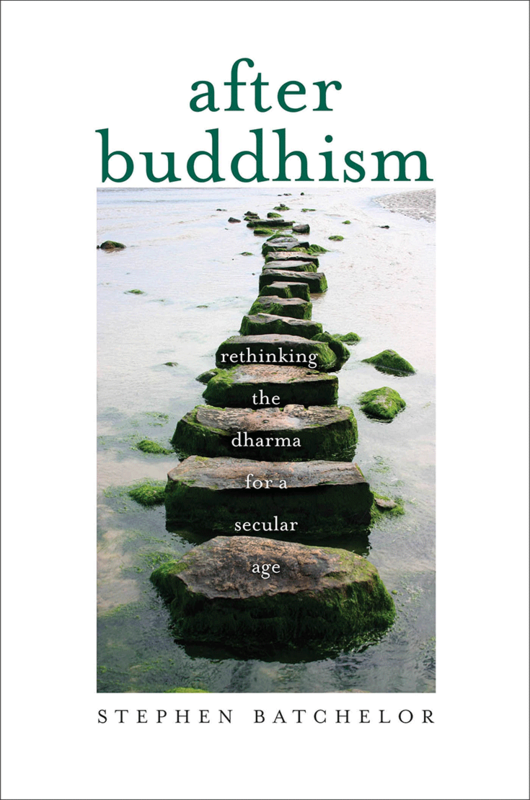 The book is structured in a back-and-forth manner, with chapters on major themes (“After Buddhism,” “A Fourfold Task,” “Letting Go of Truth,” “Experience,” “The Everyday Sublime,” and “A Culture of Awakening”) alternating with those featuring early followers of the Buddha (“Mahanama: The Convert,” “Pasenadi: The King,” “Sunakkhata: The Traitor,” “Jivaka: The Doctor,” and “Ananda: The Attendant”). It also includes an afterword on the Western encounter with Buddhism and Batchelor’s own translations of important passages from the Pali canon. The “biographical” chapters focus not on “the serene perfection of the arahant,” which interests Batchelor little, but on ordinary men and a few women who were followers of Gotama and, despite their flaws, hearkened to his message and “beheld the deathless.” The overall argument of these chapters is that laypeople (“adherents”) were vital parts of the sangha, as capable of attaining nirvana as monastics (“mendicants”). Conversely, Batchelor insists that Gotama was a teacher firmly situated in the life and politics of his time, who—even while developing and expounding a way for humans to overcome their innate “reactivity” (tanha, usually “craving”)—eschewed miracles, expressed typical human emotions, had both friends and enemies, and faced ostracism, disappointment, and illness at the end of his life. • Truth is pragmatic: the four noble truths are not claims about reality but tasks to be undertaken, while the two truths (ultimate and conventional) were not taught by Gotama, and their assertion by later Buddhists was “a fatal fork in the road” that led the tradition away from its practical and ethical roots toward ontological, epistemological, and social dualities and hierarchies. • Metaphysics is useless: Gotama refused to answer the major speculative questions of his day, never taught the ubiquity of karmic causation, and discussed such notions as samsara and rebirth only as a sop to convention, as symbols of the habitual reactive patterns to which humans are prone. • Mental, emotional, and physical suffering is part of human existence, but our reactions to it can be controlled through understanding our conditionality and selflessness and by undertaking the fourfold task: to comprehend suffering, let go of its arising, behold its ceasing, and cultivate the path. • While including both philosophy and meditation, the path is primarily ethical, and ethics are not rule-bound or absolute but instead situational, stressing wise, compassionate, and efficacious responses to the particular people and situations we encounter in life. • Nirvana is not a permanent, transcendent, and unchanging state, either during or after life, but merely the cessation of reactivity—which, given the vagaries of human existence, may not always be sustainable; it is nonetheless as close to true freedom as we can hope to come. All these arguments—which boil down to the claim that the Buddha taught “a task-based ethics rather than a truth-based metaphysics”—are supported by careful, learned, and often cogent analyses of key canonical texts and terms. Altogether, Batchelor’s analyses of Gotama and his dharma add up to a bracing and provocative—one might say radical—reconsideration of much of what we think we know about the Buddha and his teachings. Certainly, After Buddhism merits the consideration of every thoughtful Buddhist. That said, I confess that—much as I appreciate Batchelor’s humanistic and existential approach to the dharma and the élan and erudition with which he argues his case here—I remain, on balance, unpersuaded. My reasons, once again, are primarily methodological. Given the antiquity, complexity, and multivocality of the Pali canon, I doubt that any interpretive principle, however ingenious, can unequivocally give us the “real Buddha” that Batchelor seeks. His own approach—to exclude from consideration the metaphysical ideas held by the Buddha‘s contemporaries—seems doubly problematic. First, it implies that Gotama somehow transcended the worldview of fifth-century BCE India; this seems an odd claim from a scholar who otherwise rightly insists on situating the Buddha, and Buddhism, within historical context. 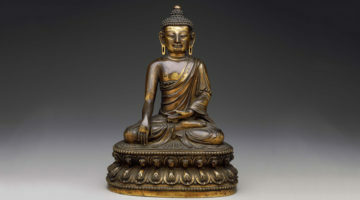 Second, it begs the question of what the Buddha thought and taught by deciding beforehand on dubious methodological grounds what canonical evidence will be admitted: when we rule out passages that suggest Gotama did believe in rebirth and a transcendent nirvana, it’s predictable that what remains is Batchelor’s ethical pragmatism. More basically, I would argue that while historical research into the beginnings of Buddhism is invaluable, the quest for a “true” Buddha and dharma is probably a misconceived and futile exercise. It is ironic that Batchelor, the great proponent of Buddhist doubt, should be so intent on locating an indubitable, essential Buddha—who turns out to be just the Buddha we moderns need. Cannot Batchelor, and we, live with a Buddha of many faces and voices that change with time, culture, and personal inclination? Cannot we accept a Buddha who does not look or speak like us, and who, in his very difference, challenges our own modern ideological and moral complacencies? To try to live with that Buddha—even as we create a dharma that resounds in our age—might be the most daringly modern move of all. From the Winter 2015 issue of Buddhadharma.